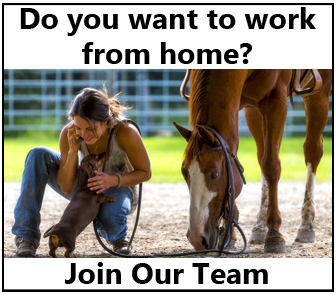 At Far View Horse Rescue, they don’t have a single paid volunteer or board member. No one gets paid, it all goes to the horses. When the Budweiser Clydesdales showed up with two tons of horse feed for the rescue, the looks on their faces were priceless! We hope you enjoy watching this special video. Every person in that crowd lit up with joy. Horse rescue is tireless and all consuming. Thank you to all of the people who dedicate their lives to saving and rehoming animals. Share this on Facebook if you support animal rescue! 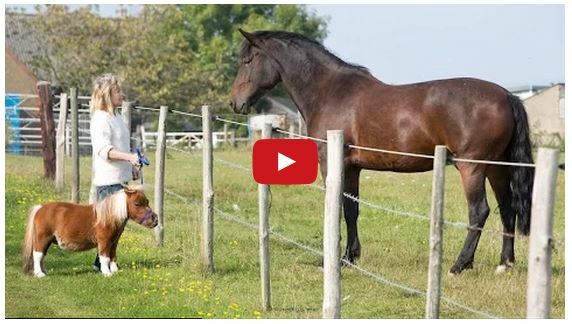 I’m still crying at how remarkable this is … Amazing video ! so glad Purina did this and oh those Clydesdales just love them Budweiser beauties !!! Thank you. I true blessing. It’s “Raining” here on my side of the computer screen. God Bless You All. Thank you to all the volunteers, to Purina and Budweiser. It is wonderful to receive this gift, I am sure…I never will buy anything though from Budweiser and encourage everyone to boycott them. I do this because they mutilate their horses. I am working very hard to get even more laws passed stopping them from this cruelty that they inflict on these gorgeous horses. Shame on you Budweiser…you give away such generosity with one hand then hurt your own horses with the other. Briar Mitchell do you have proof of some sort? Are you joking? You have never seen a Budweiser Clydesdale? Not even a photo of one? Do you think they are born that way? Their tails were docked…it is a very cruel and seriously stupid procedure where, as foals, a constricting band is put on their tails so tightly that circulation is cut off until the tail dies. This horrible procedure is banned in 14 states, 5 Canadian provinces and 11 countries. Next time…look at a photo of those Clydes. So…. you don’t mention the docking of tails for dogs? don’t mention the tie off of cows scotums, don’t mention the docking of ears on dogs. The docking of dogs ears and tails is plainly for the show of the breed. No reason to it. You don’t mention any boycott for that? Don’t mention that you boycott all things associated with any draft breed that docks tails? Don’t mention the docking of sheep tails? Do you boycott all things associated with that? The list goes on. If you are going to go for one breed of animal, you better go for them all. Do you even have a clue why sheep tails are and have always been docked? Be thankful that they are doing what they do. And what is it that you do? As someone whose family works for these specific horses, these horses get treated better than most humans do. The tails are simply trimmed and braided, there is absolutely no harm done to them. 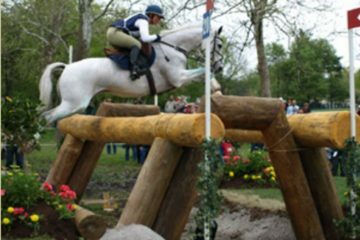 They get the utmost respect from everyone who works on the team, and anyone who works there can say that they treat the horses as well as pets. Better than pets, even. And how do you think they look so gorgeous? They prep them, wash them, trim them, do everything they can to make these horses as gorgeous as possible. It is a shame that there are people out there who believe the clydesdales are treated in a negative way. Before you go out and say that Budweiser “mutilates” their horses, why don’t you take a step back and see it for yourself in-person. I wish EVERYONE could treat their horses the way Budweiser clydesdales are treated. All of the workers bust their back to make sure the horses are always happy and healthy. If the workers didn’t love horses and didn’t know how to properly care for an animal, especially ones so FAMOUS, they would never have gotten into the business. Everyone on that team loves all of the horses like family. Educate yourself. What the — are you talking about! Please note, those of you addressing this poster as Dr., that his doctoral degree is in education. He is not a vet, or any kind of authority on animals. Working horses, dogs, even sheep, have this procedure done to stop tails getting caught in wire, wheels, etc. It doesn’t hurt when they are tiny. The alternative is to plait it up high. In the UK you have to prove working animal to dock. It isn’t cruel if done correctly, but can save problems later on. That is an absolute lie…and because you believe this, and pass the lie along, unfortunately others believe. Why on earth do you think this has been banned in so many places? Hmm? How do you think that happened? And…why do the agencies in the US and Canada, designed to look out for the welfare of these animals ALL condemn it. How do you think THAT happened? Here…let me help you understand this foul, disgusting thing they do. Some argue that this MUST be done so the horse does not tangle its tail in the harness or get over the reins. It is considered a very flimsy excuse and certainly does not explain why just the Clydes and Percherons and Shires are to be mutilated, but not these horses, also used in harness: Friesian, Gypsy Vanner, Fjord, American Shetland, Standardbreds (the most active in harness…nope, not docked! ), Missouri Fox Trotting Horse, Canadian Pacer, Trotters, Finn, Cleveland Bay, Gelderland, Holstein, American Saddlebred, Nonius, Orlov Trotter, Fell, Hafflinger and Highland. There are others…however, these horses can be easily researched so you can see they have their full, beautiful tails. Docking of horses’ tails was originally performed for safety reasons when horses were harnessed for activities such as hauling, logging or pulling carriages (Tozzini, 2003). 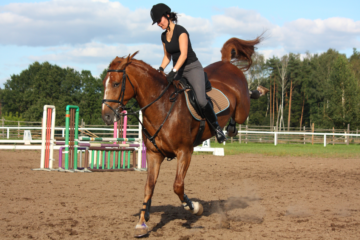 The rationale given for this was to prevent possible difficulties in controlling a horse whose tail had tangled in the harness or reins (Tozzini, 2003; Lefebvre et al, 2007). However, not all draught horses are docked and the inconsistent application of the practice implies that these horses can be managed adequately without the need to remove the tail. Simple and practical alternatives, such as plaiting or bandaging the tail, are available if necessary. The Animal Welfare Council of Belgium conducted a review and concluded that tail docking was not necessary for draft horses; consequently it supported a national ban. Docking has also been described as cosmetic in the veterinary literature. Fourteen US states have banned it along with five Canadian provinces and 11 countries. From the United States Humane Society: “We agree that unless medically indicated for the horse’s health, this procedure is unnecessary and limits natural movement of the tail, to the extent that it cannot be used to fend off flies and biting insects and prevents horses from displaying mental and physiological states of mind.” – Marty Irby, Senior Director of Rural Outreach and Equine Protection, The Humane Society of the US. I wish Budweiser and Perino would’ve combined their forces together and would’ve shown this during the Super Bowl this past Sunday because that would’ve made a big difference in a lot of peoples hearts. Plus most of us to watch commercials during the Super Bowl on Super Bowl Sunday really miss seeing the Clydesdales this year. This is true, but think how much feed they could have donated with the $5,000,000 the commercial would have cost. That would have been even greater. In response to the suggestion of cruel practices to those Clydesdales. Do you believe for one instant that Budweiser would do ANYTHING that would harm or bring unnecessary pain to those beautiful and extremely well cared for horses?? Nope. And again NOPE. They are way too public for one thing, too expensive to abuse for another, and have you seen the facilities they are raised and housed at? Horse Palace. These are indeed Royalty. Treated like Royalty, and the Public outcry would ruin Budweiser if for one instant there was any abuse towards them. Of course it hurts when they are tiny. Just like it hurts newborn boys to be circumcised. Fantastic that Purina does this type of work with shelters! I had no idea. And the Clydesdales are superstars…Budweiser, well done. To Briar Mitchell……..I’ve been involved with draft horses for years and docking of the tails has been a practice and still is a practice because of hitching the horses for working them, it keeps the tail out of the driver’s face. The practice is done when the foal is only a day or 2 old and it is no more painful than your male baby having to be circumcised at birth. Also these and most male horses are gelded which is more painful than docking the tails at a day or 2 old, as gelding a horse can not be done till the horse’s testicals drop, usually at a year to 2 years old. This practice of docking their tails is no different than docking the tails on certain breeds of pups which is done at 2 or 3 days old when the tail is still just a small cartilage and not a bone. The hair on the horse’s tail continues to grow long and it is braided and curled around and fastened for the “bun” look on the horse for showing. When they are out in the field they still have hair on the tail long enough to swat at flys. I have friends who show Belgium’s and he also used to be the farrier for Budweiser. I’ve been around the Budweiser Clydes in many parades and shows including the Draft horse shows at the Wisconsin State Fair in Milwaukee each year and at the Kentucky Derby Parade and these horses are treated like royalty by their handlers. They are not abused in any way. That friend who we bought our show Belgium’s from used to be the farrier for Budweiser and traveled constantly to 6 Budweiser locations to trim and shoe these horses and he has told us what great facilities they have for the horses and how they are treated like royalty. 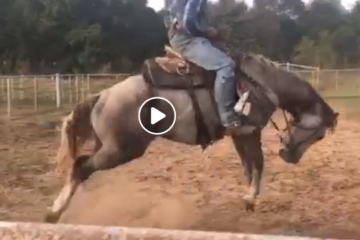 If you want to fight for something that is cruel to horses, start fighting to get the practice of “soreing” and building up the front feet on Tennessee Walkers and Saddlebred horses banned. This is only done for show and it’s not natural for these horses to have to walk with their front feet done that way. Just a side note to the peeps that think docking a sheeps tail is wrong. Ever seen a sheep with a long tail full of maggots ? That happens frequently when they are not docked, just from their own manure and urine. You can’t exactly give a sheep a bath you know.